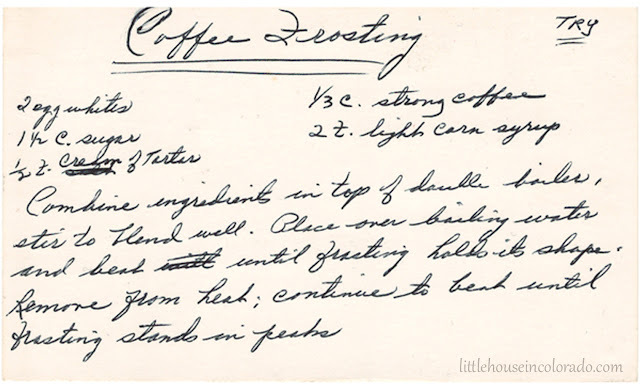 This recipe for Coffee Frosting was handwritten on an index card. It was found in a modest collection of old recipe cards. The age of this particular recipe card is unknown. Combine ingredients in top of double boiler, stir to blend well. Place over boiling water and beat until frosting holds it's shape. Remove from heat. Continue to beat until frosting stands in peaks.